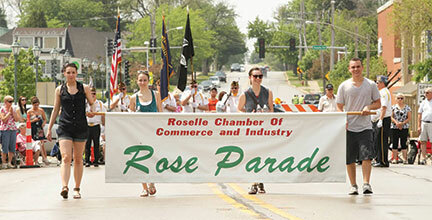 In partnership with the Village of Roselle, the Roselle Chamber is pleased to present the 60th Annual Rose Parade on Sunday, June 2 starting at 2:00 p.m. As always, local businesses, organizations and community groups are invited to participate! Entry applications must be received at the Chamber office by April 26 for consideration. Rose Parade applications are available for download from the Chamber of Commerce website via the link below.